Challenge: Medicomp Systems was known as the developer of a specific product among a limited audience within a vertical market. In fact, their product awareness was greater than their company awareness. 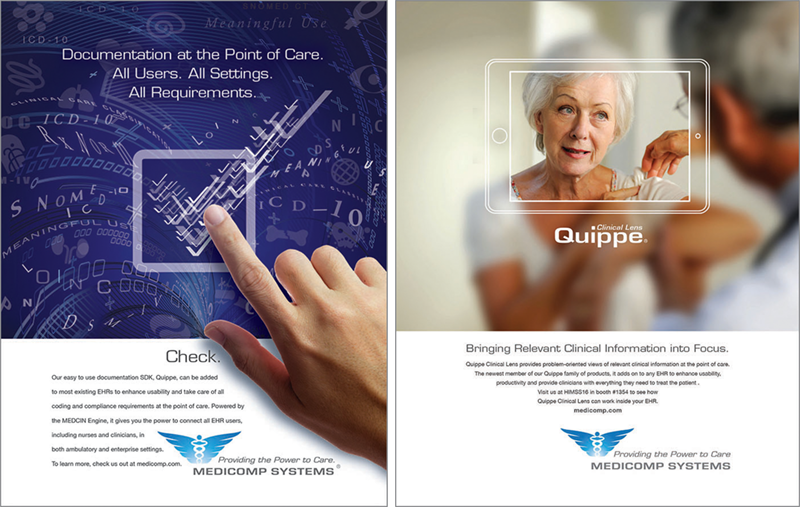 With new products in development, Medicomp needed to develop a brand strategy. There was also a question about how to brand and market the legacy product in relation to the company brand. Solution: Rebrand company with a new company and product branding system that speaks more directly to audience’s challenges while enabling the company to expand its customer base, especially among larger customers. TWP developed new image and product campaigns, that included a website, public relations, videos for their main products – MEDCIN Engine and Quippe, events, and electronic and print media to build awareness and directly support sales outreach. Creative was developed using a newly developed tagline, Providing the Power to Care. Results: Within two years, company awareness has exceeded single product awareness. 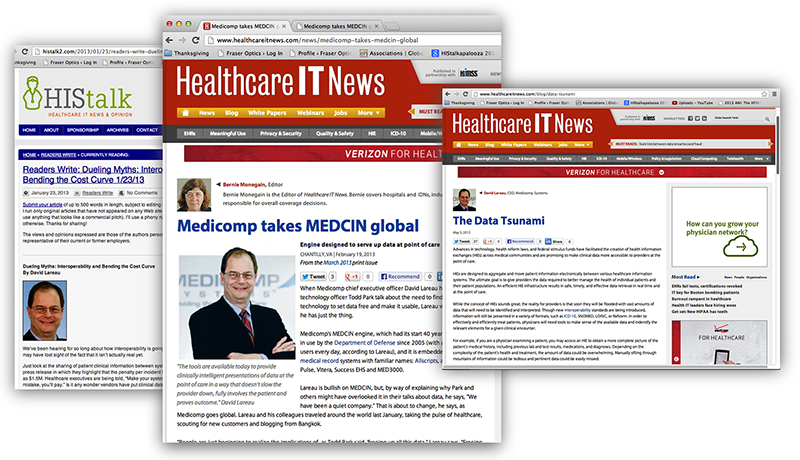 A global campaign was just launched to support Medicomp’s global sales strategy to expand sales to Asia, Europe, Africa, and Australia.